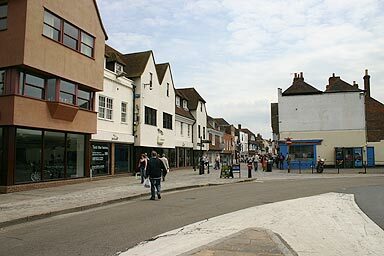 You are standing next to the West Gate, looking south-east up St. Peters Street, one half of the main street that forms the spine of Canterbury. The street is pedestrianised between 10am and 4pm, and as we shall see, it needs to be. Turn left to enter Pound Lane and walk around the outside of the city.